Produktinformationen "Fotodiox Pro Cinema Sharkcage für Panasonic GH4"
The Sharkcage for Panasonic Lumix DMC-GH4 is one of Fotodiox's new concept in camera cages. 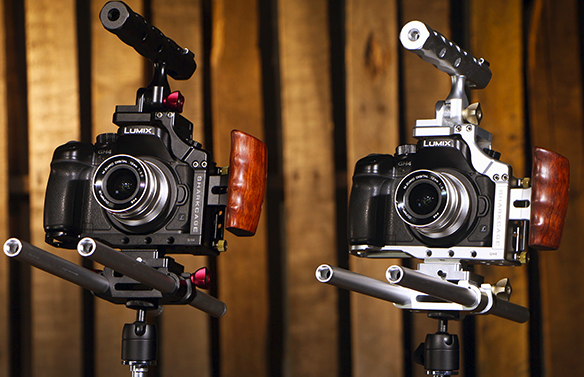 Other camera cages adopt a generic boxy design that takes up a lot of space without adding functionality. 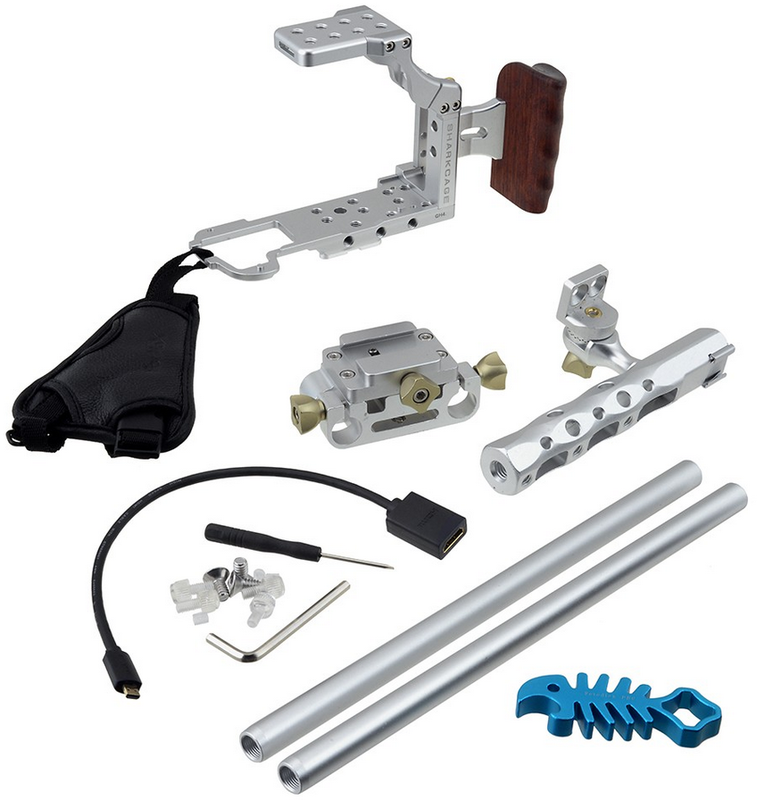 We sought to create a more compact, good-looking solution without compromising on flexibility. 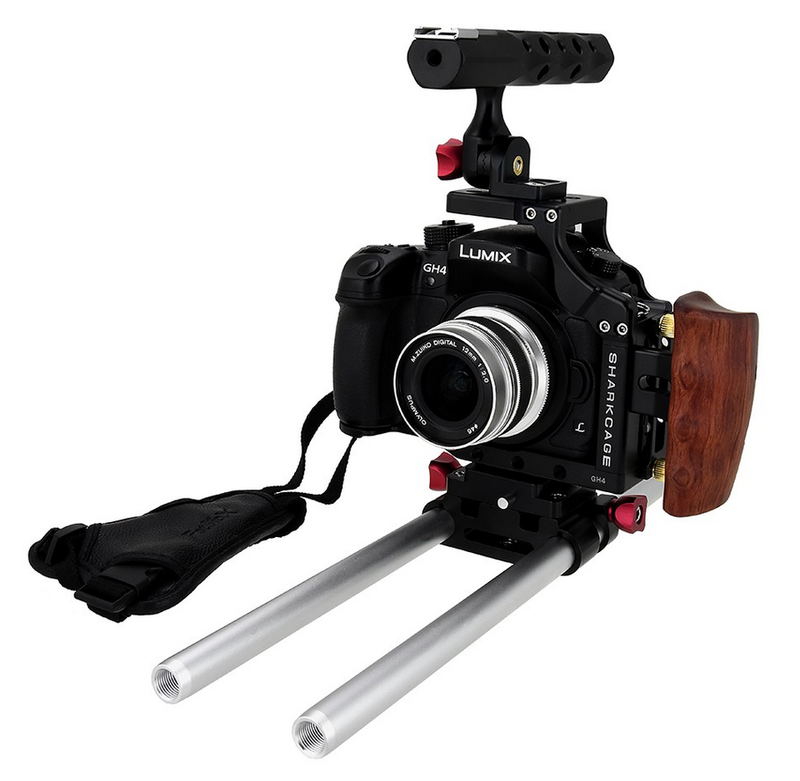 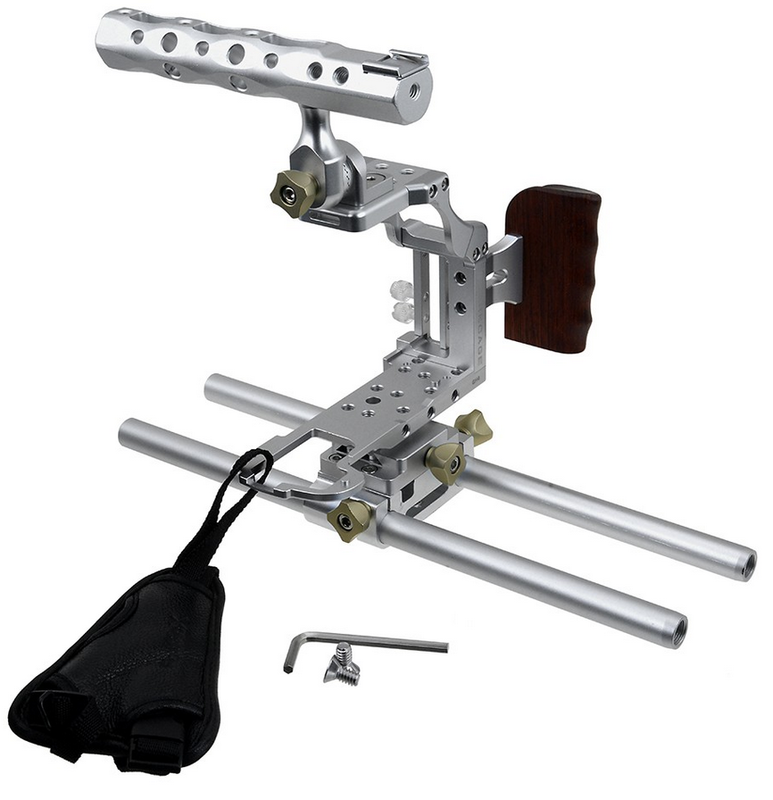 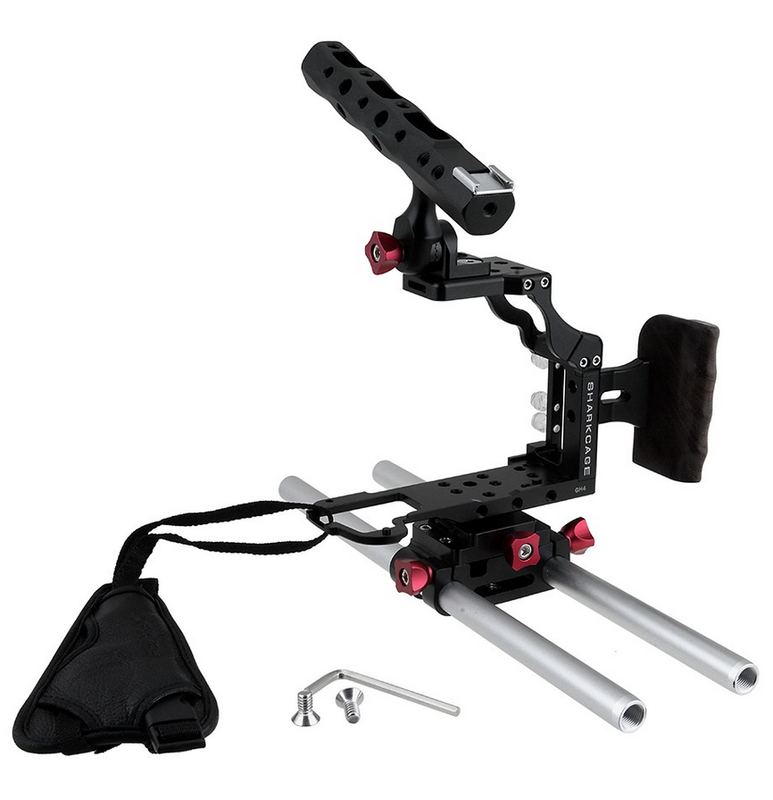 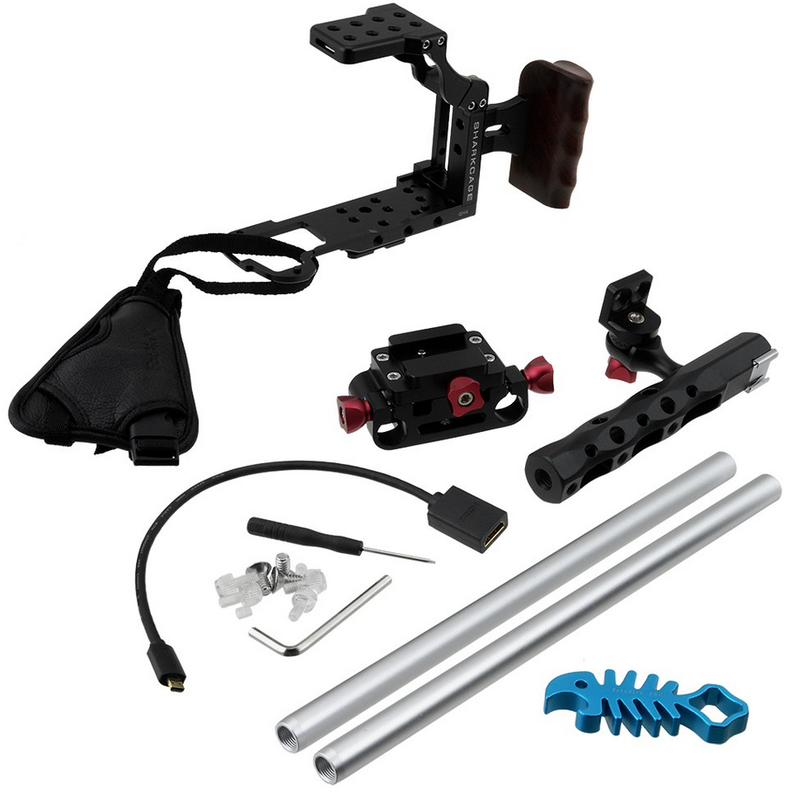 Dual 15mm Rod system for Matte Boxes, Lens Supports, Focusing Aids and more! 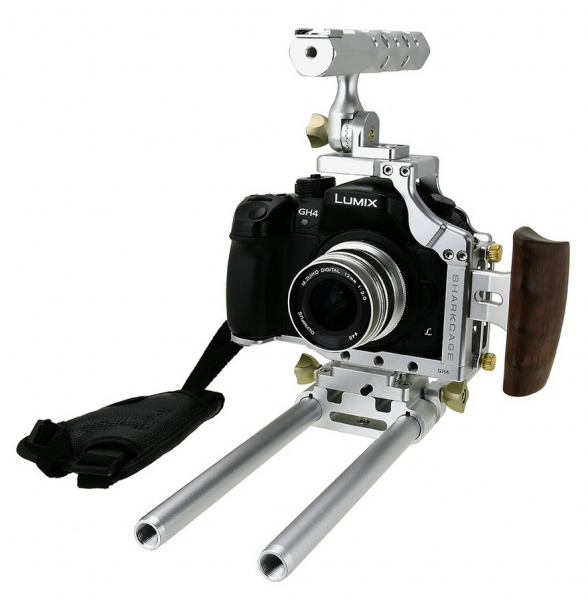 Weiterführende Links zu "Fotodiox Pro Cinema Sharkcage für Panasonic GH4"